Gorgeous and meticulously maintained 6 bed 4.5 bath home on a private street. Lovely hardwood floors throughout main level and amazing outdoor living space. Kitchen is decked out with granite, double oven, gas cooktop, and upgraded lighting. Two staircases lead to the 2nd level with master with sitting area and huge master bath, 3 additional bedrooms, 2 additional full baths, and a 5th bed or bonus/media room. On the 3rd level is a large billiard or rec room, 6th bedroom which is currently used as a wet bar and and full bath. Watch the game and entertain guests out back on the screened porch or around the outdoor kitchen. Down below is a fire pit complete with landscape lighting and even a putting green! 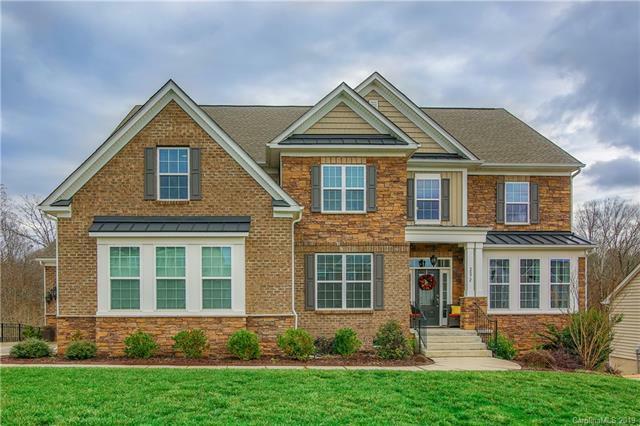 Custom built-ins in master closet, tray ceilings, outdoor TV areas...there are too many upgrades and details to mention - come see for yourself! More photos in virtual tour.